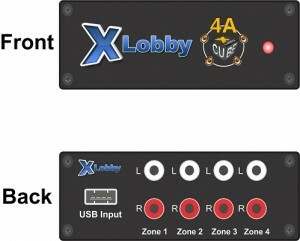 Calrad will be releasing the xLobby 4A system sometime in July, 2011, part number 40-ZA5. This product is only dedicated for music content delivery and will not have the ability to do anything else. The interface will be simple and easy to setup and navigate, similar to the xLobby Cube system. We wanted to create an inexpensive solution that can work with the existing xLobby product line and platform or to be a independent system accessable using network based devices or RF integrated remote control systems that customers already have in their homes. The suggested retail price will be around $ 1200.00. Below is a detailed diagram of the system and the products it can integrate with. Calrad’s new 40-AE6200 A/V over Gigabit Ethernet Adapter enables you to easily connect a monitor or projector, (DVI-D, VGA) viewable from any computer loaded with the software to extend your PC or Laptops video display over your network, viewable in mirrored or extended desktop mode. You have full access remotely using a mouse, keyboard or any USB 1.1, 2.0 compatible device. The display stations can be up 100 meters away from your computer with CAT6 cable. This unit will work with 100Mbps networks but video playback will be limited to lower compressed video codecs. Use Calrad’s 92-163 solderless Keystone Jack in or out of a Keystone wall jack or plate. Lutron Electronics has begun shipping a new thermostat for their RadioRA 2 system. With this addition, the system now controls 60 percent or more of a home’s energy use, including lights, shades, stand-by power from small appliances, and temperature. Lutron’s RadioRA 2 system offers control of lights, shades, stand-by power from small appliances and now temperature, offering enhanced energy savings throughout the home. The system, which is scalable to 200 devices, operates via Lutron’s Clear Connect wireless. The RadioRA 2 thermostat features a three-part design, including seeTemp (homeowner interface); a wireless temperature sensor; and the HVAC controller. 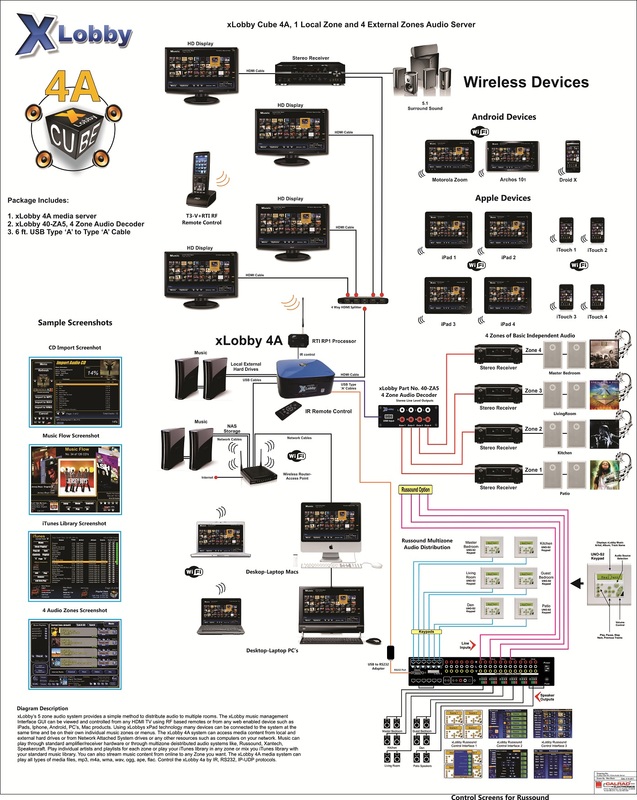 The RadioRA 2 system can be controlled from keypads and mobile devices, including the Apple iPad and Android devices or xLobbys xPad control system. You are currently browsing the xlobby news blog archives for May, 2011.